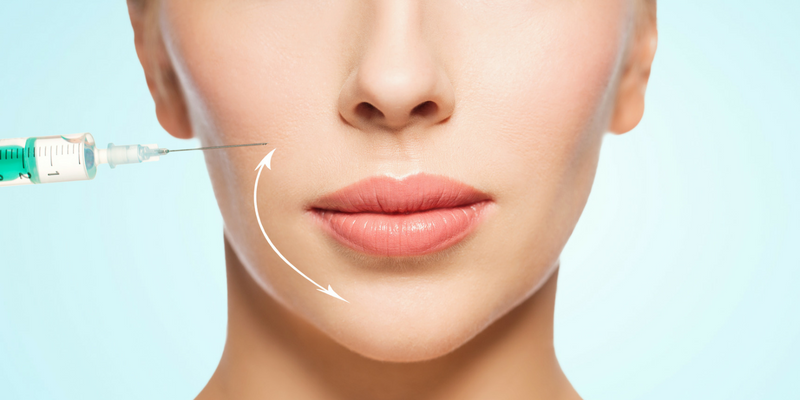 Whether you want to smooth away fine lines and wrinkles, plump or reshape your lips, or restore lost facial volume to your cheeks, dermal fillers can be an excellent solution. However, if not administered properly, fillers can cause bumps and other irregularities. Even with the most skilled injector, some people are simply unhappy with their appearance after trying fillers and want to return to their natural look. In either case, here are the steps to take if you want to correct bad or unwanted fillers. Hyaluronic acid fillers can be completely dissolved using a special enzyme called hyaluronidase. They are completely reversible which makes them my favorite type of dermal filler and the most preferred dermal filler by dermatologists. Hyaluronic acid is a naturally occuring substance that’s already present throughout your body, including your skin. Its molecules are able to bind to and retain up to 100 times their weight in water, which is what makes this substance such a great choice for injectable fillers. When carefully placed, hyaluronic acid fillers can plump your skin and lips and diminish the appearance of lines and wrinkles around your mouth. Like other types of fillers, hyaluronic acid fillers provide temporary results. So if you do not choose to have them dissolved, you can expect to return to your normal appearance within six months to two years, depending on the type of product you choose. However, if you would like to get rid of your filler before it wears away on its own, hyaluronidase is a naturally occurring enzyme that begins dissolving the hyaluronic acid immediately. Just a few examples of hyaluronic acid fillers include Juvéderm® Volbella, Juvéderm® Voluma, and Restylane® Silk. Hyaluronic acid filler works by drawing water into itself in order to plump and smooth your skin from beneath the surface. This process can take about two weeks to stabilize, so don’t be alarmed if you’re not in love with your results immediately after your appointment, as this process can cause temporary swelling. Additionally, any time you get an injection of any kind, there is a risk of bruising, which can also temporarily hide your results. There are a few things you can do before and after your injections to help minimize bruising, however. The first is to avoid taking NSAIDs (nonsteroidal anti-inflammatory drugs) like aspirin, ibuprofen, and naproxen at least ten days before your appointment. You should also avoid foods and supplements like ginseng, salmon, and fish oil before getting injected, as these can thin your blood and make bruising worse. Finally, you can take arnica supplements or try topical arnica patches before and after getting fillers to reduce inflammation and bruising. Despite your best efforts, however, you may still experience some swelling and bruising for up to two weeks after your filler injections, so wait at least this long to assess your final results. If you’re still not happy with how your fillers look after about two weeks, then you might consider having them reversed. It is always important to choose an experienced and reputable provider for any cosmetic treatment, including your initial fillers. You also need to be wary of illegal injectors who do not have the proper training and certifications needed to safely and correctly provide injectable fillers. This is a growing problem across the country and especially here in Miami. That said, even skilled, trained injectors can make mistakes. The process of “reverse sculpting” requires even more technical skill and experience than performing the filler injections themselves, so make sure you choose someone who has plenty of experience with this specific technique if you want your filler to be dissolved. For example, your provider should understand the differences between the two types of hyaluronidase offered, as well as how to properly dilute the product with saline for best results. Choosing the right type of filler to begin with is so important, because only hyaluronic acid fillers can be dissolved early. That way, if you’re unhappy for any reason with the way your filler results turn out, you won’t have to wait the full duration of the product, which can be up to two years, depending on which one you choose. Then, if you do want to correct bad fillers, make sure you work with an experienced provider who knows what they are doing and who has experience diluting and injecting hyaluronidase. If you have additional questions about correcting bad fillers that aren’t answered here, or to read more skin care tips and advice, be sure to follow us on Facebook, Instagram, and YouTube!